We work hard to put the best teams together for our clients, and that includes having the best subcontracting companies and tradespeople on site. Our reputation has been built on the quality of our work for generations, thanks in large part to the strong subcontractor relationships we have in areas all over the country. Thank you for your interest in becoming one of our qualified partners. 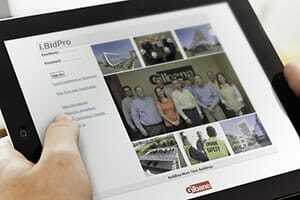 Contractor registration is just a click away with Gilbane’s proprietary iBidPro, a Lean application that streamlines the bidding process to save time and money. With the help of highly skilled, qualified subcontractors and supplier teams, we deliver facilities that we can all be proud to put our name on.